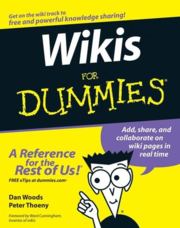 I stumbled over a site today that contains 186 “for dummies e-books” as PDF and .chm files. It looks like some one deliberately did this with out creating a index file for the folder so the whole world can download it. For dummies books are great resource for the beginners as well as experienced, my favorite book is “Bioinformatics For Dummies”. No i don’t think so, that is why i said “i donâ€™t recommend you to download them”. Nice Link. Some may be useful for me.